Ideally located in the heart of Naples, near the historic center and the Royal Palace, this hotel offers 99 air-conditioned rooms. It is just a 5-minute walk from ferries to Capri, Ischia, Sorrento and Sicily and 164 yds (150 m) from the Expo Napoli Convention Center located at the ferry terminal. The hotel also has a bar and a paying public outdoor car park open from 6am to midnight; alternative parking is available on request. Guests must leave their car keys at the car park. The Mercure Napoli Centro Angioino is your base for discovering Naples' captivating historic center, the enchanting nativity scenes made by Spaccanapoli craftspeople and traditional Neapolitan pizza. Don't miss the Naples Underground tour. Online check-in and fast check-out, free WIFI, Internet point, Angioino lounge bar open every evening, modular meeting room with free WIFI. 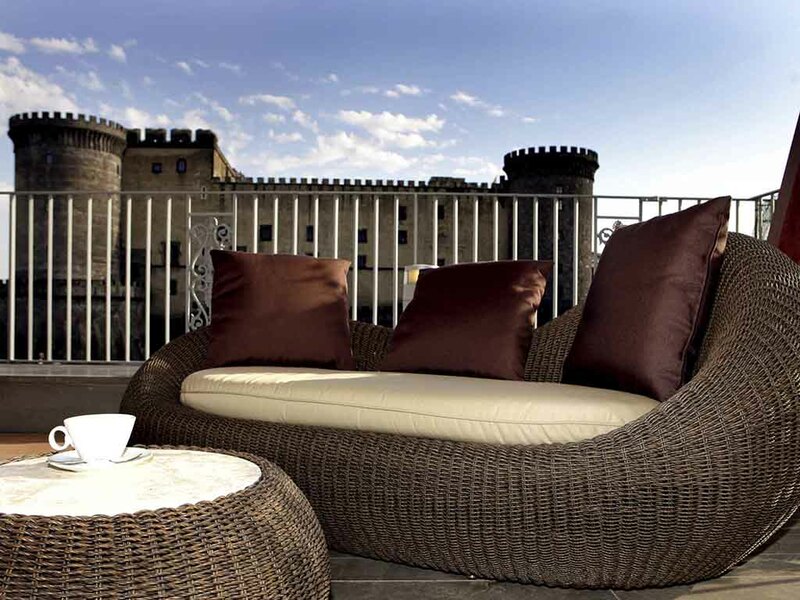 Panoramic terrace with a breathtaking view of the Maschio Angioino castle. For your comfort, all rooms are soundproofed and have a bathroom, air conditioning, direct dial telephone, satellite TV, Internet connection, minibar and safe. Bra frukost, bra läge, bra rum , kassaskåp , bra reception, bra storlek på rummet, fräsch toalett. Kom till hotellet kl.03:30 på morgonen p.g.a försenat flyg, ändå trevligt bemötande. Mycket uppskattat. Mycket nöjd med bemötande vid incheckningen och under hela vistelsen. Rummet snyggt och rent. Frukosten på terrassen mycket bra. Överraskades av att hotellet tillhanda höll Tunnelbanebiljetter, bra initiativ.